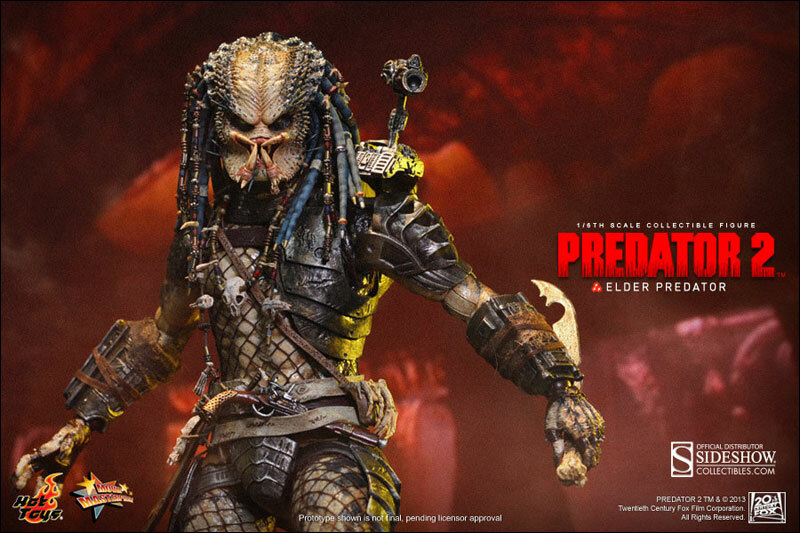 Despite a brief screen time in Predator 2, Elder Predator has been one of the most popular Predator among fans of the series. 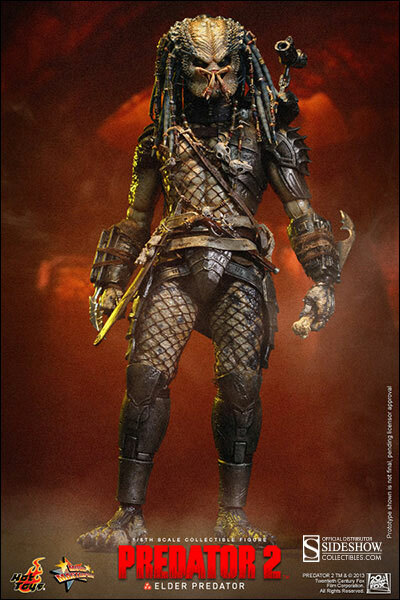 His cool look as well as his code of honor and respect for fellow warriors all contributed to make him a fan favorite! 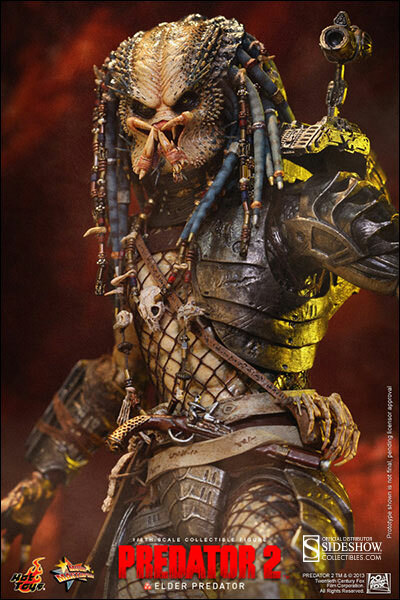 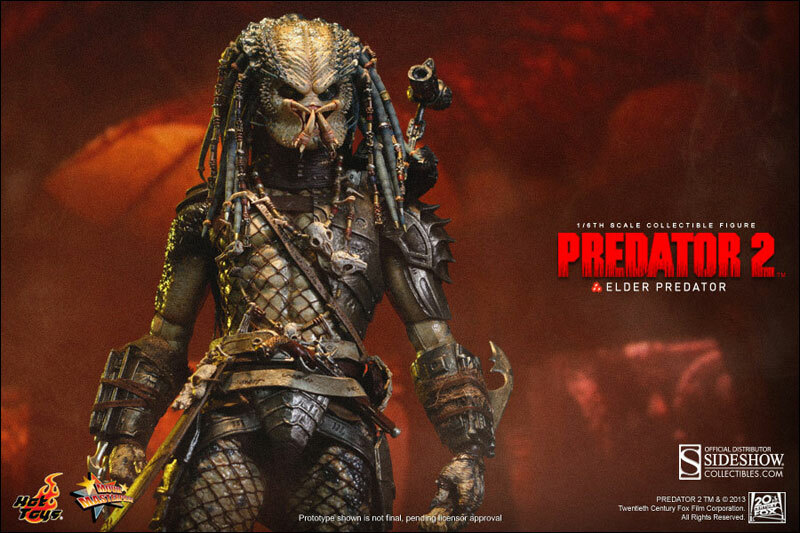 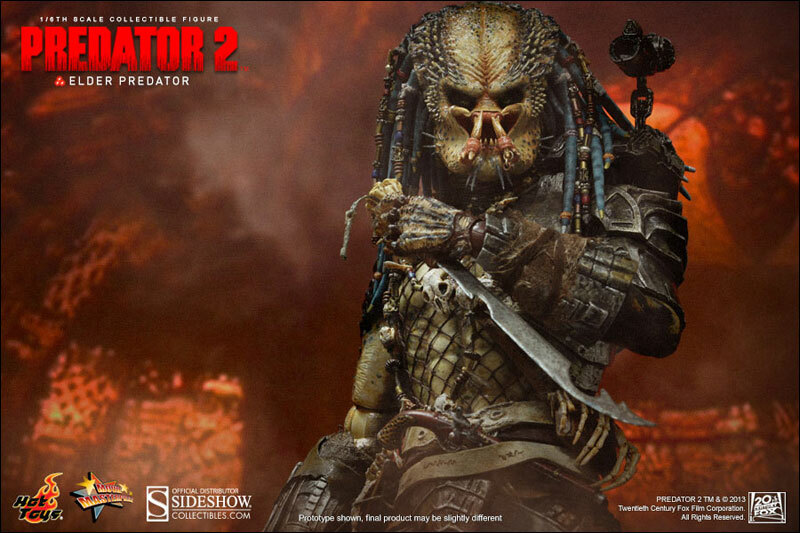 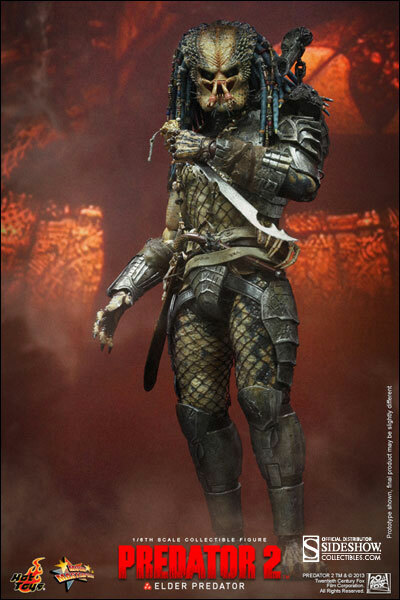 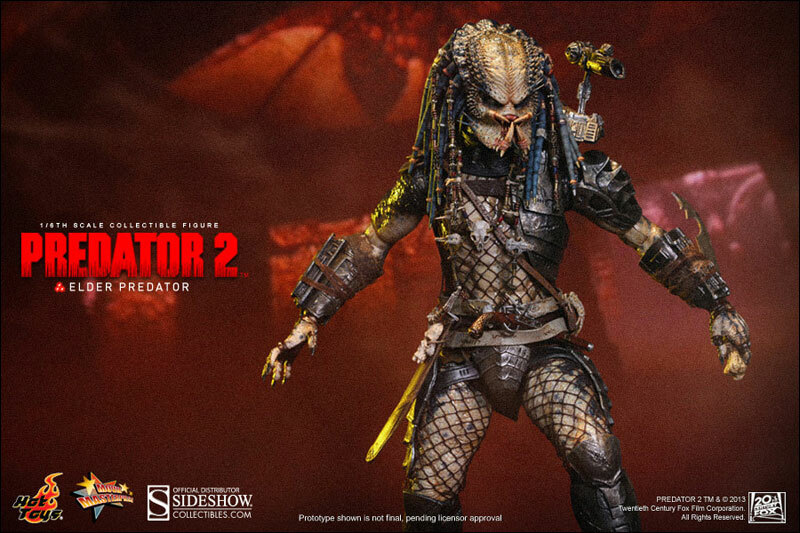 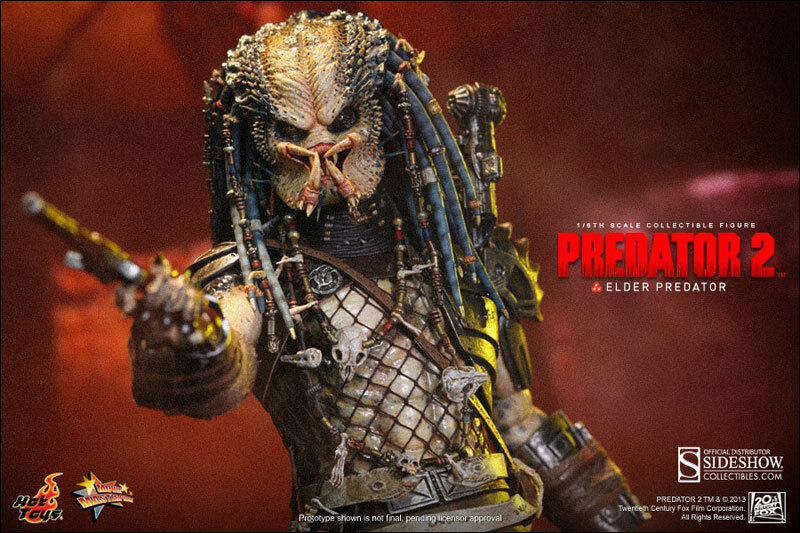 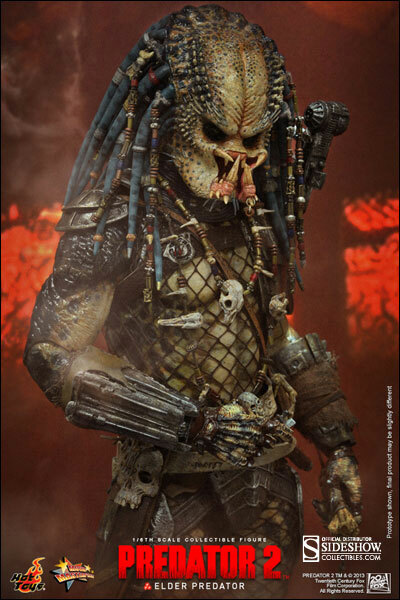 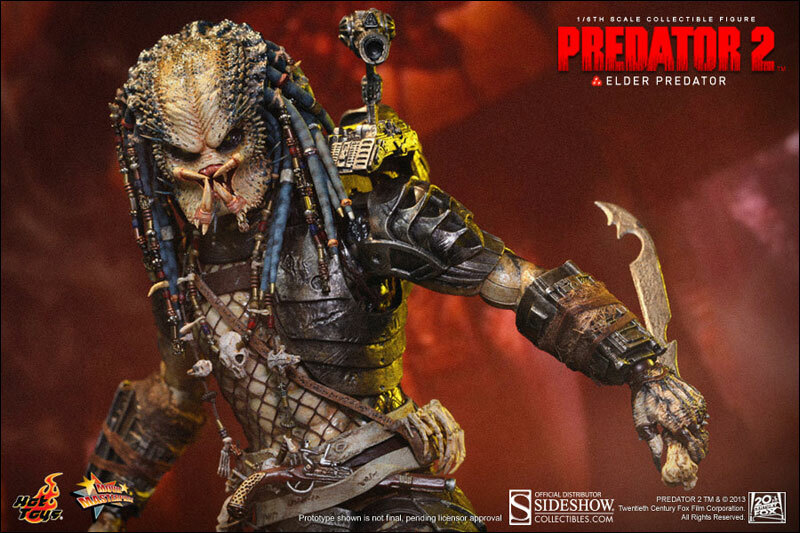 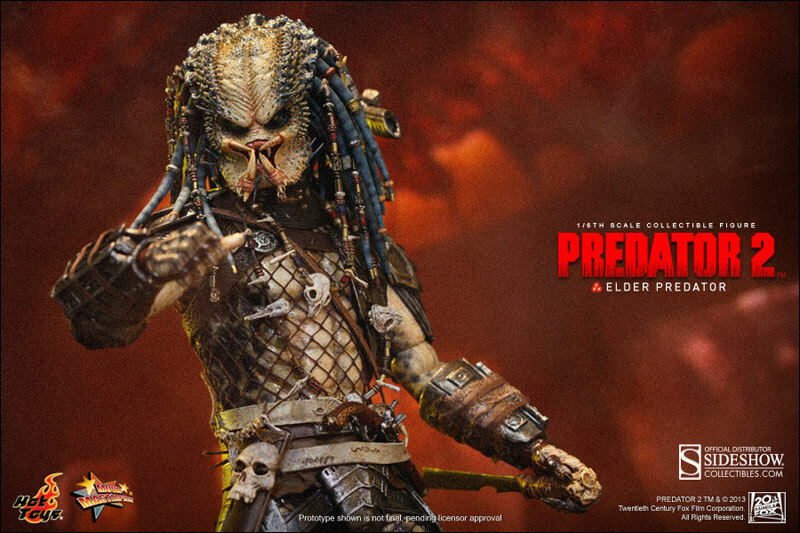 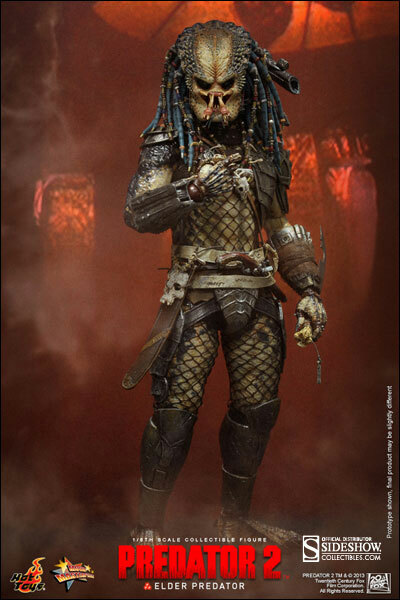 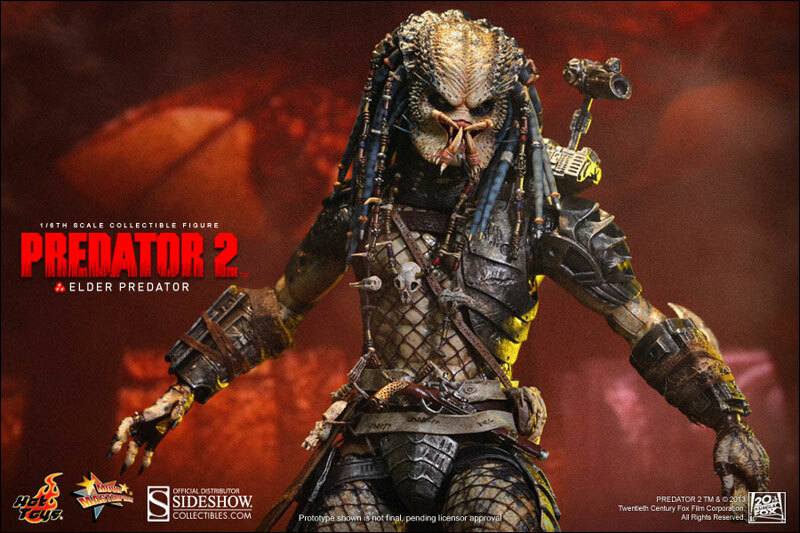 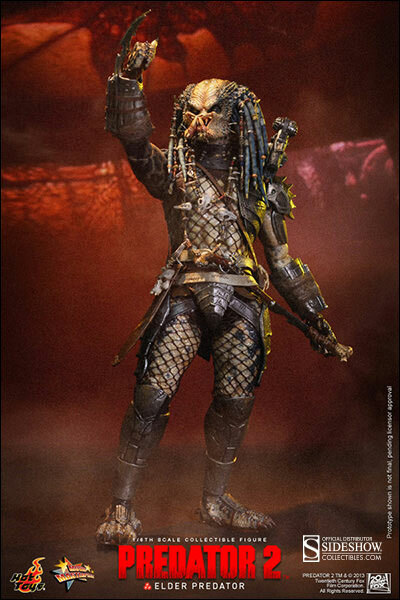 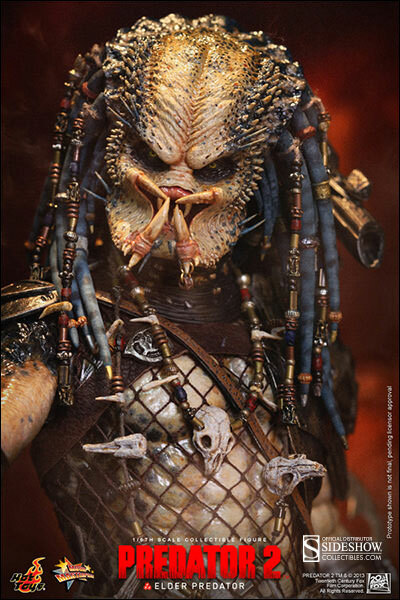 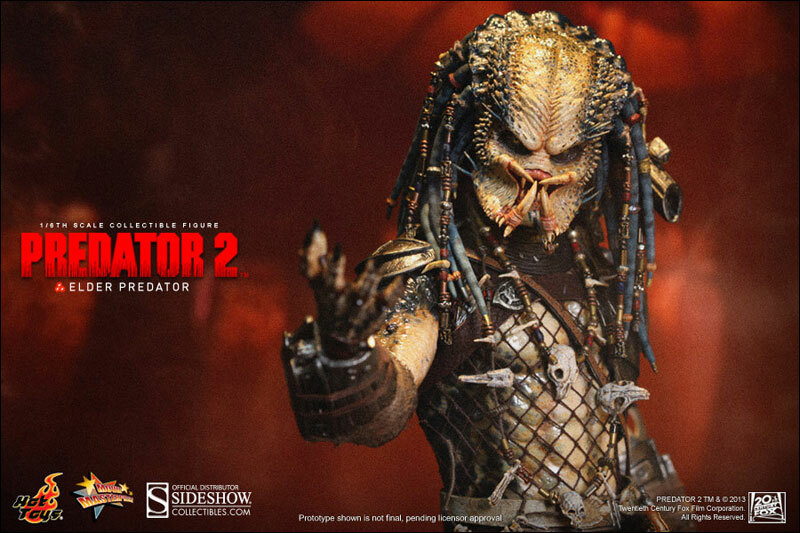 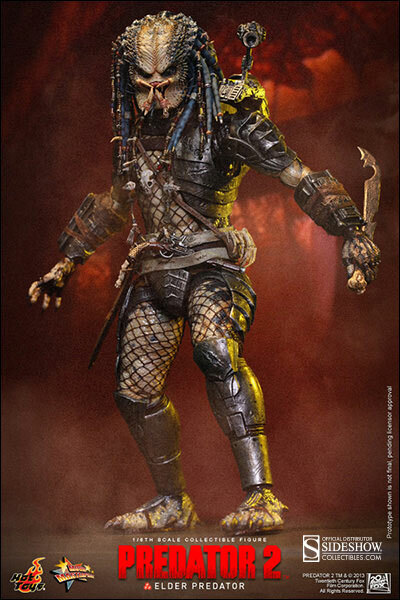 Following the release of Celtic Predator, Hot Toys is proud to present the new 1/6th scale Elder Predator Collectible Figure from the Predator 2 movie. 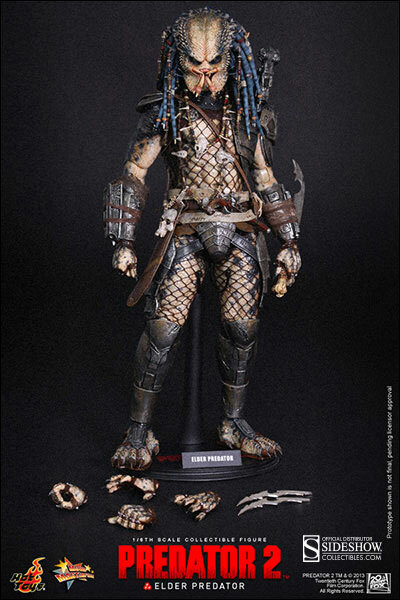 The movie-accurate Elder Predator collectible is specially crafted based on his image in the film, featuring his highly detailed body armor, weapons and accessories. 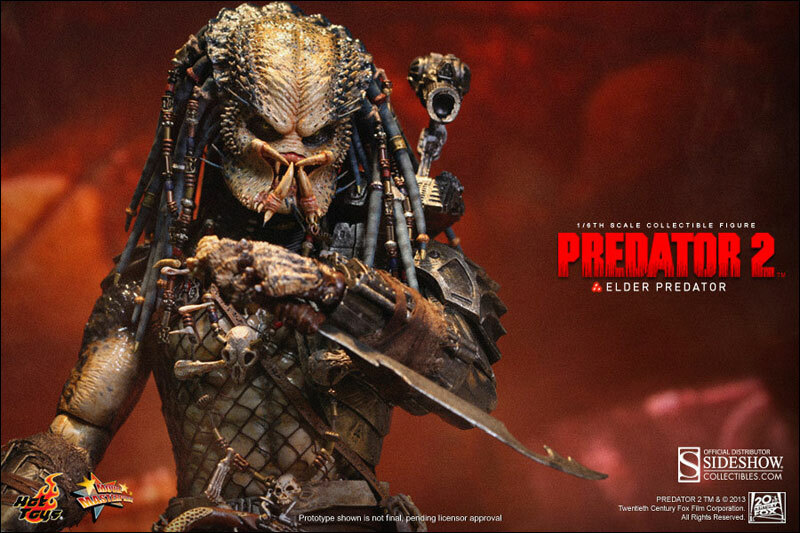 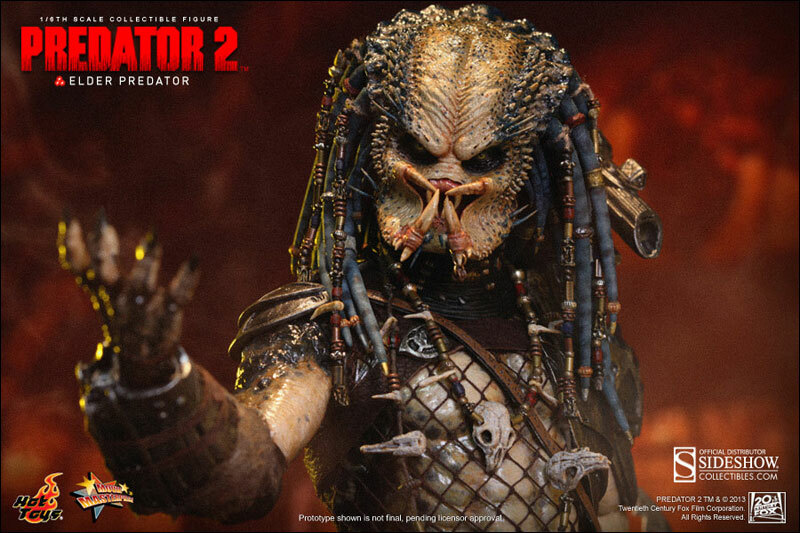 Predator 2 TM & © 2013 Twentieth Century Fox Film Corporation.